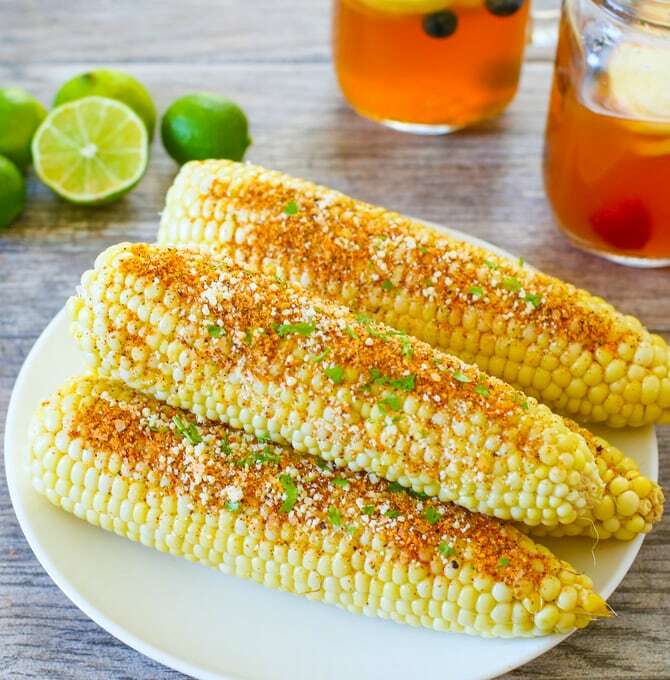 Corn on the cob is flavored with butter, cotjia cheese, chipotle powder and lime juice, for a flavorful summer side dish. I’ve been obsessed with roasted and grilled corn this summer. This one is loosely based on Mexican-style corn, though it doesn’t use the traditional mayonnaise because I don’t like mayonnaise on my corn. I love how flavorful the corn becomes with a few simple ingredients. 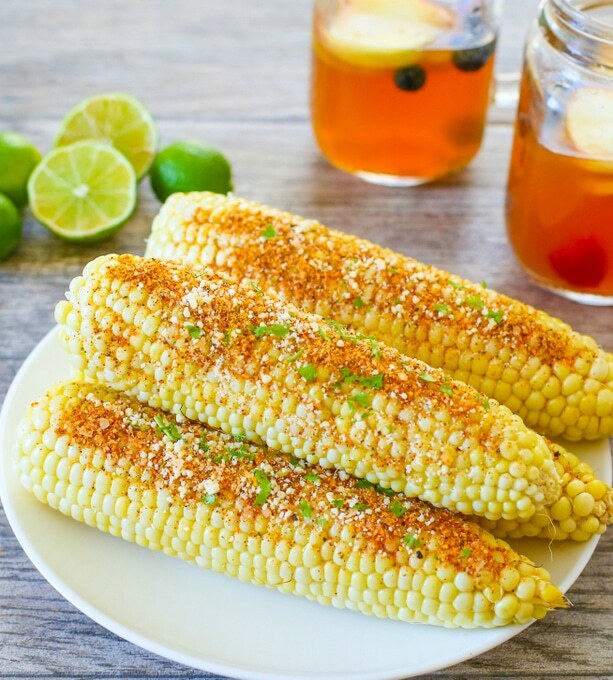 You can make the corn in the oven or on the grill. We finally got our grill. Yes, summer is half over, but it’s here and I’m excited to get going on some grill recipes. Of course, it ended up being a big ordeal. We invested in a natural gas grill since we have a natural gas line hookup in the back of our house. After we purchased the grill, Mr. K went about putting it together. It was then that we discovered you can’t just simply hook the BBQ grill hose to the natural gas line–you need adapters, shut off valves, etc. According to the manual and our neighbor, we were supposed to get a contractor to do it for us. Well, he actually was able to set everything up quite easily. But for some reason, he just couldn’t get the grill to ignite. He checked for leaks, asked advice from our neighbor who had also had a gas grill installed, re-read the manuals, internet grill forums, etc. After five days of trying everything he could think of, he decided to contact our gas and electric company to send over a technician. We were expecting one technician, but they actually sent out two. And then the issue was fixed in about 30 seconds. Yup, just slightly embarrassing. Mr. K had been trying to light one burner, but unbeknownst to either of us since we’ve never had a gas grill, he was supposed to turn on all the burners at once, let out the initial air, and then it lit right up. It was probably one of the shortest house calls they’ve ever made because they ended up just hanging outside our house afterwards and chatting since they had nowhere to be. The good thing though is the grill now works. They also inspected Mr. K’s set-up for the valves and adapters and confirmed there were no leaks and that it passed inspection, which put my mind at ease. After we got the grill working, we immediately grilled some corn. I didn’t take a picture of it on the grill. I wish I had because the grill was so shiny and clean and the corn looked so pretty perched on it. Anyway, I love the grilled corn even more than the roasted version I previously did because it takes about half the time to cook. 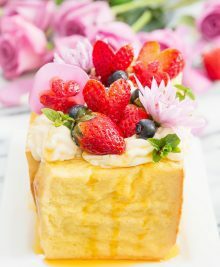 Though if you don’t have a grill, you can definitely make an oven roasted version of this recipe. 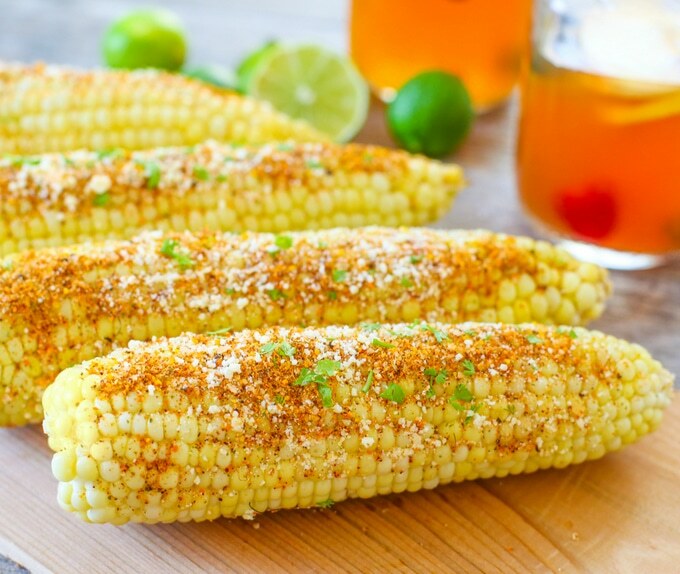 This is inspired by Mexican corn, flavoring corn on the cob with butter, cotjia cheese, chipotle powder and lime juice. It's a delicious summertime dish. Grill corn until tender, about 15 minutes. Once the corn is cooked remove the charred husks and discard. Brush each ear of corn with 1/2 tbsp butter. 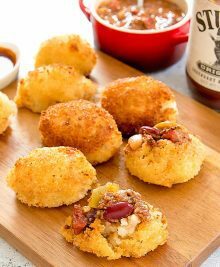 Sprinkle each with about 1/2 tsp chipotle powder, 1 tbsp of cotija cheese (or more if you desire) and a squeeze of lime juice. Garnish with cilantro if using. Next Post » Hog Island Oyster Co.
“Mexican style” corn without huitlacoche ? I don’t like huitlacoche. It tastes like dirt. Lol, I love how blunt and open you are. I’ve had huitlacoche before a few times but it was always mixed with so many other ingredients that I didn’t really get a taste of it by itself. I recommend using tajin with avocados. We like to grill ours just barely so it’s heated but not yet bitter and then sprinkle tajin. I need to find more uses for it though because I bought an 8-pack off of Amazon. I’ll try it work the corn next. Mexican ‘street style’ corn has the mayo and seasonings, which I’ll have one time a year, just like an egg nog latte and chocolate covered cherries. 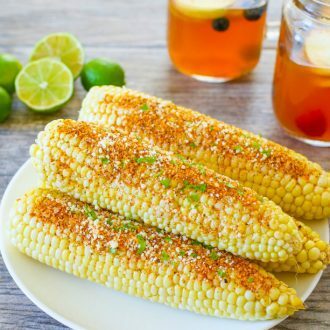 I love the flavor of fresh roasted corn and sometimes just grill it in the husk (after removing the silk) and eat half without any seasoning. For the rest of it, I use Tajin as a sprinkle-we got a gigantic 14 oz bottle at the Chula Vista Costco last year. Good the installation went well. You can use a grill all year in San Diego…we’ll heat one set of burners and place items on cookie sheets on the ‘cold’ side and bake or warm dishes with the radiant heat when we need more oven space. i’m really not a mayo person which is why I left it out and used butter instead. But I really like the idea of roasting corn with all these seasonings and cheese. So flavorful. I recently bought a bulk pack of Tajin on Amazon. 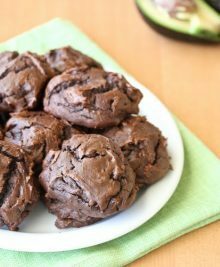 It tastes amazing on grilled avocadoes, but I’ll have to try it on corn next time.